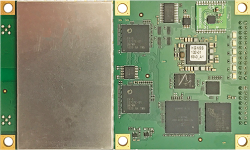 Magellan has introduced its MB 500 OEM GNSS receiver board with GPS+GLONASS+SBAS dual-frequency, real-time kinematic (RTK) capability. Offering 75 channels, the receiver can track the following signals: GPS L1 C/A, L1/L2 P-code, L1/L2 full wavelength carrier; GLONASS L1 C/A, L2 P-code, L1/L2 full wavelength carrier; and satellite-based augmentation systems code & carrier (WAAS/EGNOS/MSAS). 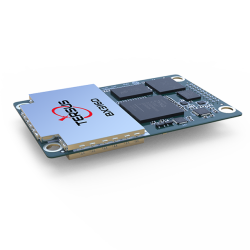 The MB 500 offers the following outputs: up to 20 Hz real-time GPS, GLONASS, and SBAS raw data output (code and carrier) and positioning; real-time GPS, GLONASS, and SBAS subframes; ephemeris and almanac for GPS, GLONASS, and SBAS and ionosphere data; NMEA0183 messages (ALM, GGA, GLL, GRS, GSA, GST, GSV, RMC, VTG, ZDA). The board measures100 x 80 x 13 millimeters (3.9 x 3.1 x 0.5 inches) and weighs 61 grams (2.18 ounces). Power consumption is 2.5 Watts (typical GPS+GLONASS at 10 Hz) with input voltage ranging from 3.3 to 9V DC. The MB 500 has embedded BLADE technology, Magellan’s proprietary, multi-GNSS RTK and differential GNSS engine.